PirateSpin Casino is a fresh new casino launched in the early spring of 2018. This online casino serves an impressive collection of more than 600 top-quality games. The games are provided by a long list of vendors including NetEnt, Play’n GO, Microgaming, NYX Gaming, ELK Studios, Thunderkick, Neo Games just to name a few. This will give members access to some of the most popular online video slots such as Hotline, Bust Da Bank, Forbidden Throne and Blood Suckers. PirateSpin Casino has a nice old-school design which is fully responsive on all devices so players can enjoy a great online gambling experience on desk/laptops, tablets or smart phones. At the moment, PirateSpin is available in English, Finnish, German, Norwegian and Swedish. The customer support desk at PirateSpin Casino is open everyday between 06:00 GMT to 23:00 GMT. Members can contact the helpdesk by e-mail or live chat. The live chat is easy to reach or over the website. PirateSpin Casino is operated by Aspire Global International LTD and AG Communications Limited (in Great Britain). They are licensed and regulated by the Malta Gaming Authority, the Alderney Gambling Control Commission and the UK Gambling Commission. PirateSpin Casino meets the highest standards of player safety/fairness and responsible gaming. PirateSpin Casino: Get 100% up to €200 + 100 Spins as a new member! The 100 video slot spins is available in Gonzo’s Quest, Starburst, Aloha! Cluster Pays and Fruity Friends. 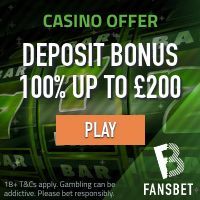 The first 20 spins are added to your account upon your first deposit. The remaining spins (day 2 and 3) are added upon your second and third deposit. CLICK HERE AND JOIN PIRATESPIN CASINO AND COLLECT YOUR BONUS RIGHT NOW! As a loyal member of PirateSpin Casino, you may be introduced to their very rewarding VIP program. This is tier-based program which has seven different levels, starting with the New Player tier, through Bronze, Silver, Gold, Platinum, Premier and finishing with the Prestige VIP level. The benefits you can enjoy as a member of this program includes Birthday Bonus, VIP LIVE Tournaments, Higher Deposit & Cash Out Limits, Personal Account Manager, Monthly Cash Back and much more. Banking at PirateSpin Casino is quick and easy. They accept all major payment methods such as credit/debit cards, e-wallets and direct bank transfer solutions such as SOFORT Banking, Trustly and several other regional options. All transactions and other stored information is protected and secured by the most advanced encryption technology available. PirateSpin Casino offer a great collection of online video slots which are provided by some of the most successful game vendors on the planet such as NetEnt, Microgaming, Play’n GO, NYX and ELK Studios. This ensure players to gain access the most popular video slots ever created. The most popular online video slots at PirateSpin Casino right now is Hotline, Asgardian Stones, Cool Bananas, Mystery Joker 6000 and Twin Spin Deluxe.